It is common to see a black bear or two grazing on the side of the road in Northern Vancouver Island. Black Bear, Ursus americanus, Vancouver Island, British Columbia, Canada. 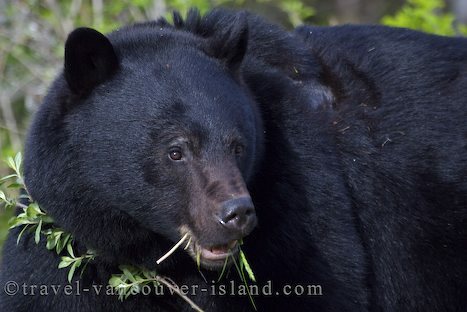 Photo of an adult Black Bear grazing on grass in Northern Vancouver Island, BC, Canada.